Looking for your next great read? Dr. Artika Tyner invites you to preview The Lawyer as Leader: How to Plant People and Grow Justice, at her book signing at the end of this week. Details below, and even more insights to come this Friday at SubText! Artika Tyner discusses her book The Lawyer as Leader: How to Plant People and Grow Justice 7pm Friday December 12 at SubText. A new book shows how attorneys can use their legal skills to lead social change movements, contribute to communities that foster social justice and empower and develop new leaders. Overview: Artika Tyner '06 J.D. shares her vision for reimagining education: It begins with placing an explicit focus on leadership development and social justice advocacy. In her talk, the educator and civil rights attorney shares her experience of transforming the classroom into a learning laboratory where students experiment by applying their technical training to address the social justice challenges of our time. 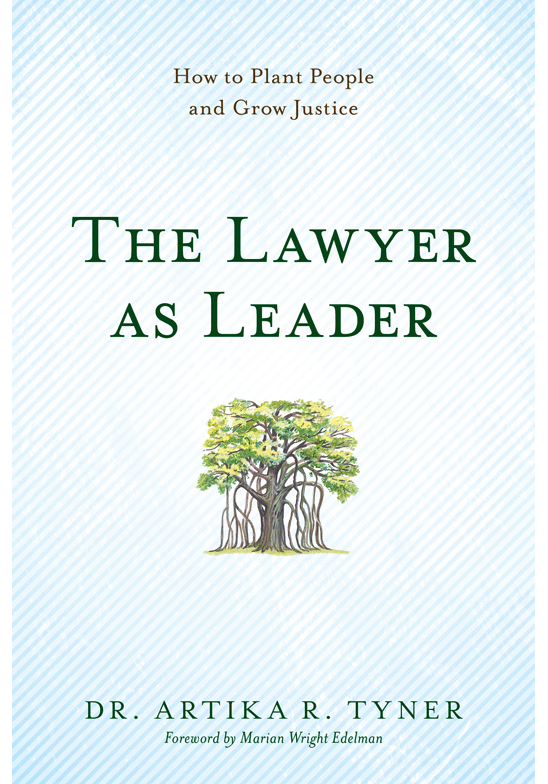 "The Lawyer as Leader: How to Plant People and Grow Justice" is an inspiring roadmap designed to help lawyers, educators and community activists become transformational leaders and effective agents for social change. Written by experienced educator and community advocate Artika R.Tyner, the book shows how individuals can make a difference. The book is based on her leadership development and community engagement work that fosters individual growth through an organic process from the ground up. "The Lawyer as Leader" will be useful for young lawyers, educators, and community activists as well as more seasoned ones who wish to harness their skills and training to become leaders in the struggle for social, racial and economic justice. The book explores social justice origins and theories, provides a guide on how to build personal leadership platforms and profiles renowned attorneys, including Bonnie Allen, who trains public interest lawyers; Edgar Cahn, who created the blueprint for the Legal Services Corp. and founded Timebanks USA; and john a. powell, founder of the Institute on Race and Poverty at the University of Minnesota. Marian Wright Edelman, founder and president of the Children's Defense Fund, wrote the book's foreword.